"Hello sir, which country am I in?" 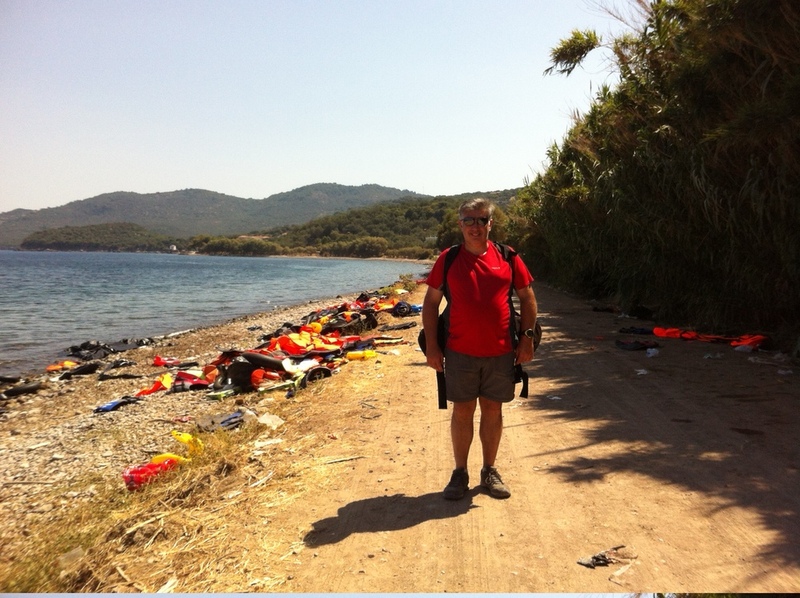 My dear friend and long-time colleague Michael Priddy recently posted to Twitter that he and his partner Anna were on the Greek island of Lesvos, assisting with other volunteers helping some of the huge number of refugees who have fled to Europe over the last few weeks. His tweets, and his photos—which I've included below—were so moving that I've asked him to write something for distribution here, and to his ex-colleagues at Birmingham City University. Much respect to Mike for his humanity and effort, and to all the people volunteering. Robert Sharl asked me to write a little on 'What I Did on My Vacation this Summer' but it's not quite what you might expect. I hope some of you find it of interest. Lesvos is the perfect Greek vacation idyll, and for many tourists it remains so. However, it is also a major gateway to Europe for refugees from war and terrorism in Syria, Iraq & Afganistan. 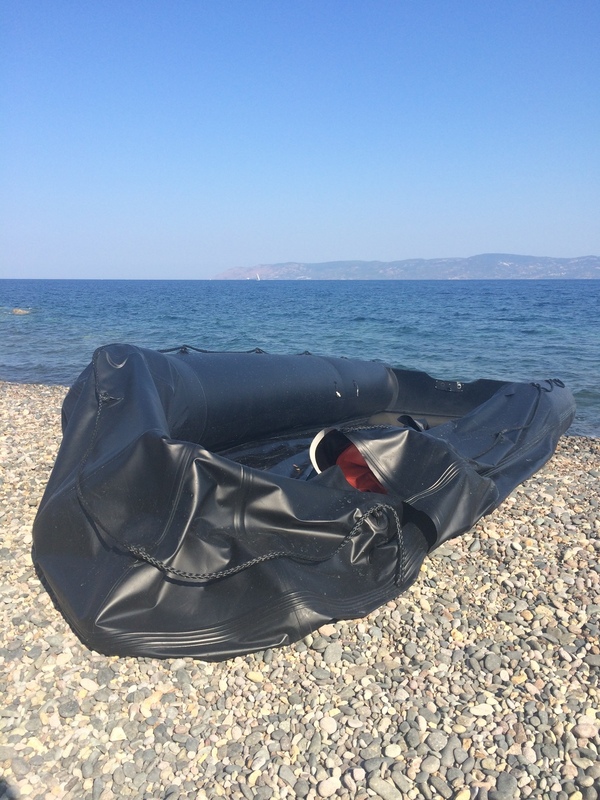 It is only a one hour boat ride from the Turkish mainland but for many who make it in large military-grade inflatable boats it is truly terrifying; having never been to sea before and packed like sardines with up to 70 to a boat. 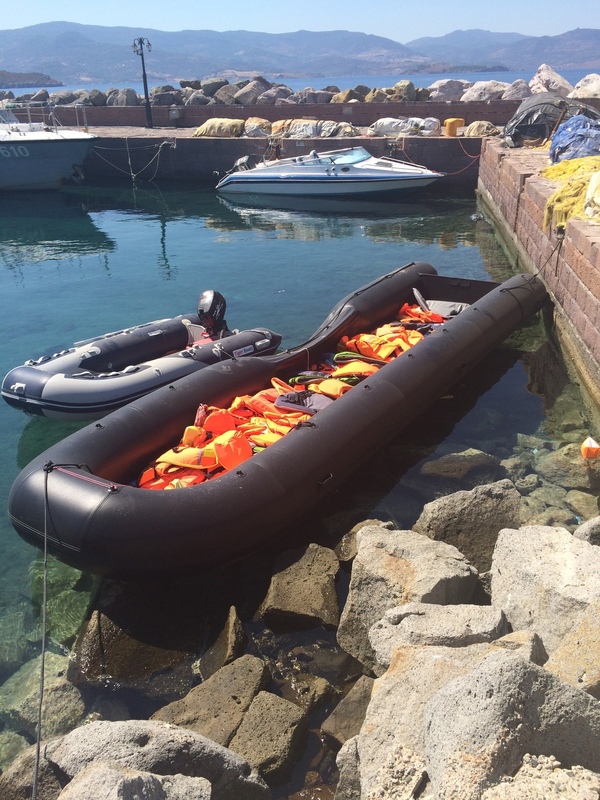 The criminal traffickers charge €1000 to €1400 per person to make this short crossing, twice what we would paid for a package holiday to Lesvos. 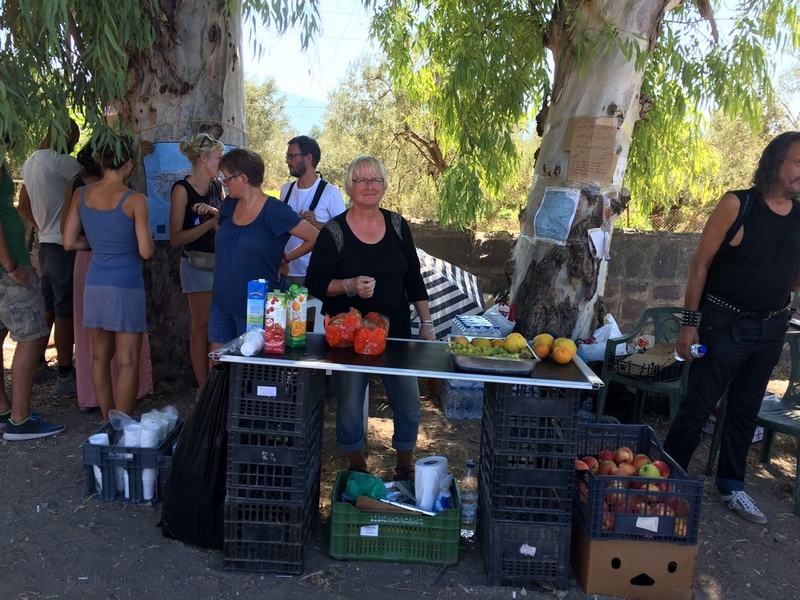 On my vacation I have been spending a lot of my time volunteering, initially at the 'transit area' on the edge of Molyvos (Mithimna) close to the north coast where the boats arrive, and then on the roads handing out water and giving directions. We are all volunteers; there are no big NGOs here and recently only one small Dutch charity is helping out. Many like me are on vacation, some here only to help. It's a very international group from Norway to Greece via Denmark, Netherlands, Germany, Austria, & Slovenia, oh and the odd Kiwi thrown in for good measure. The other day I met a volunteer who has just come all the way from Portugal. We are the frontline of friendly faces in Europe, but there will be those who will exploit these tired and vulnerable human beings, even on this island, as they progress further west and north; mainly to Germany. It has been a hard job working in the 'transit area'; that was no more than a dirty car park without sanitation or shelter. There were between 300 and a thousand people arrive each day just at this one place. As volunteers we were making it up as we went along as best we can, learning quickly off each other, but we got food & water to all who wanted it, shoes & dry clothes to those who needed them, and the majority of the vulnerable on buses. The 'transit areas' have now been closed thanks to formal complaints made by locals which would have made us criminals if we had continued to give out aid to the refugees. Now the refugees have to rest or sleep on the streets of Molyvos and if they have Euros buy supplies from the supermarkets & cafés. Many have not eaten or slept for three days fearful of robbery in Turkey. This is not the worst of it though. Now every man, woman & child, young & old alike, are forced to start a 65km walk to the port of Mitylene to register & get their papers, as there are no buses coming to pick them up. When we were giving out water in the mountains we saw families with infants & pregnant women pleading with every driver who passed by for a lift to somewhere. Alternatively they can pay traffickers (locals with cars) & taxi drivers (traffickers) over-inflated prices to drive some or all of the distance; €100 per person some refugees said they've been told. This we have seen & heard: it is easy to make money out of the desperate & vulnerable. There are some volunteer drivers helping too, for free. Many start the walk in the evening when the temperature starts to fall below 30°C, but this is very dangerous on dark, busy, twisting mountain roads. The best they can hope for is that one of the limited UNHCR sponsored busses will pick them up somewhere, but if Mitylene is deemed too full (it usually is) there are no buses. There is just one place to rest and get sustenance along the route but this now being swamped. Some days up to 4,000 people make the crossing. We have met refugees who have just landed on the northern coast road who are euphoric at arriving in Europe; although some do check which country they are in. This happiness soon wanes when you tell them how far it is they have to walk to get their registration papers. Mytilene is full of refugees (recent estimates of between 8,000 and 12,000 in a town of 32,000) waiting for papers and ferries to Athens & Theseloniki. 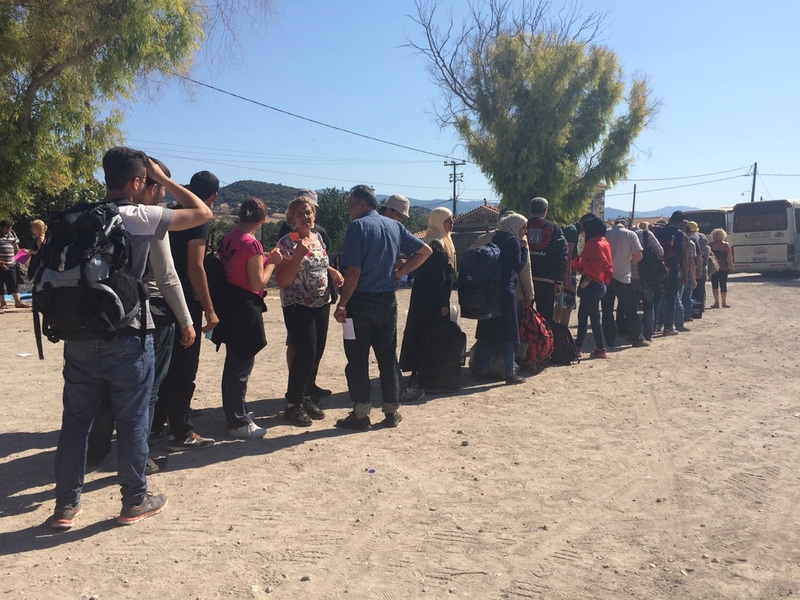 The authorities can process 1,500 applications a day, but the queue of refugees waiting in the sun is 3,000 people long; if you leave for water or the W.C. you return to the back of the line. Families & friends are often split on their journeys; how on earth they find each other again in Mitylene I have no idea. Most people I have talked to are Syrian, Kurdish, Iraqi or Afghani, and some have excellent English; often helping us out with translation & organisation. These are my true heroes as, despite their own difficult situations and exhaustion, they are willing to work to help all their fellow compatriots. These have included a British trained Syrian doctor taking his sister and here children to Germany (you don't ask what has happened), and a young Iraqi who worked in the prosecutors office during the trial of Sadam Hussein; he will be returning after delivering his nephew to Belgium. We have met so many amazing people, many with stories we could hardly begin imagine, over the last two weeks. It's not all doom & gloom though. Some have retained their sense of humour and every day I'm laughing at something, and we are genuinely thanked in so many different languages that I am humbled. Now that the 'transit areas' have been closed, what we can do as volunteers without a car is limited. We will continue to raise money and awareness; money we have already raised, from neighbours and friends, has paid for a car used by volunteers who have saved refugees from drowning. You too can help in many ways. 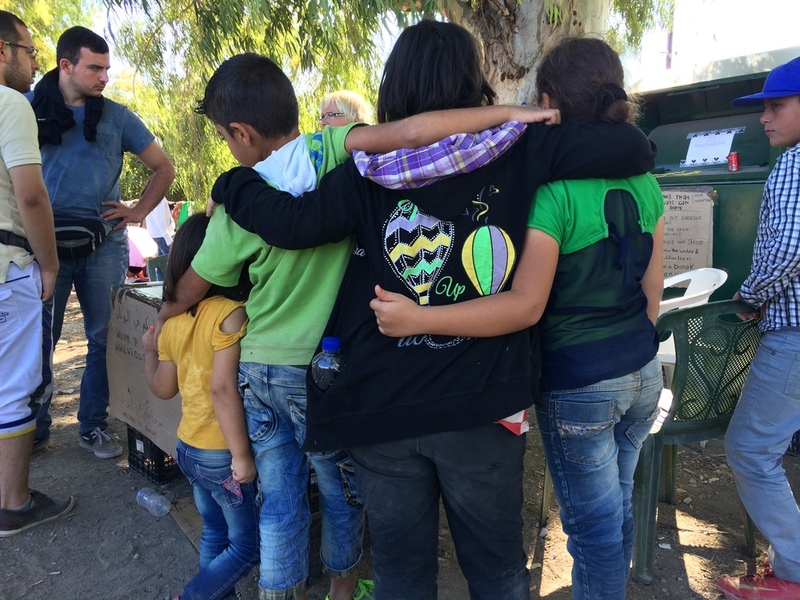 Please take a look at the Facebook page for Help for refugees in Molyvos (https://m.facebook.com/HelpForRefugeesInMolyvos) to see what is needed, consider donating here https://www.indiegogo.com/projects/help-for-refugees-on-lesvos-greece#/story or to the International Rescue Commitee (https://engage.rescue.org/donate/donate-now-here-humanity-alt). The big NGOs often mentioned are not here. You could even think of volunteering. One last thing, with autumn and winter approaching, it is expected that refugees will still try to make the crossing. 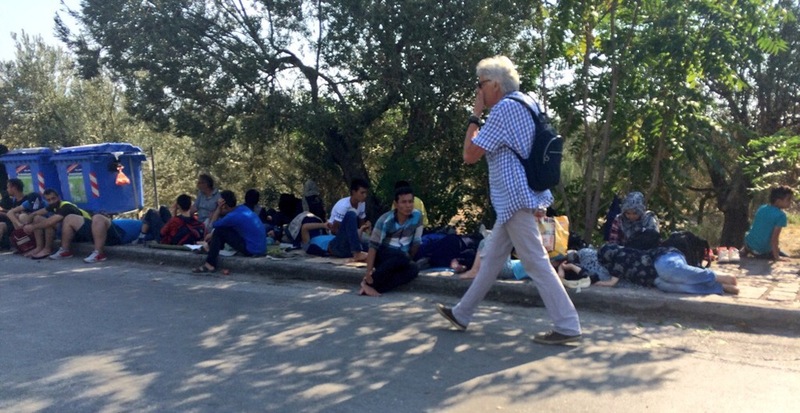 A transit area in Molyvos is needed more than ever, and there is an unused camp site here. 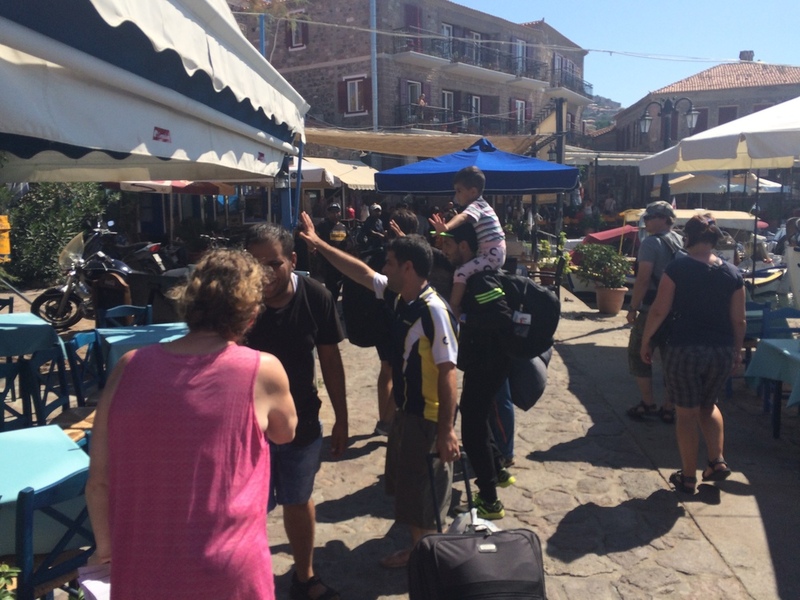 Help for Refugees in Molyvos have tents and other supplies for such a base. Please help convince the town of Molyvos that they need this transit area too. Update: The Telegraph newspaper featured Mike & Anna's efforts earlier this week.